Accessibility to affordable childcare is extraordinarily important and early childcare is often hard to find in an undersupplied market. That’s why WeeCare launched its mobile platform to provide educators and caregivers with the tools and support to start a licensed home daycare. This multipurpose platform has all the management functions required to operate a daycare –from licensing and insurance to digitizing enrollment and generating a weekly curriculum at your fingertips. For parents, WeeCare offers an unparalleled experience with complete transparency, safety, cost savings, and convenience. WeeCare currently is offered in LA but it has plans to expand to other markets in the near future. 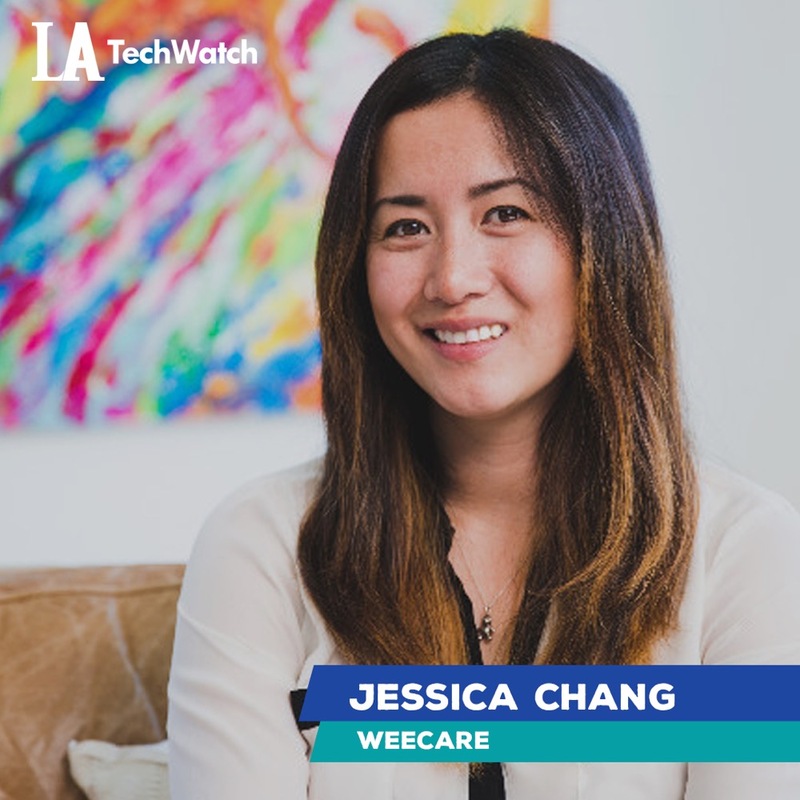 LA Tech Watch chatted with cofounder Jessica Chang about how WeeCare’s philosophy and core values have contributed to its success and latest round of funding. We raised a seed round of $4.2M, led by Social Capital with participation from Fuel Capital. Previous investors including Fika Ventures, Amplify Partners, and Wavemaker Partners also joined the funding round. Tell us about WeeCare’s product or service. 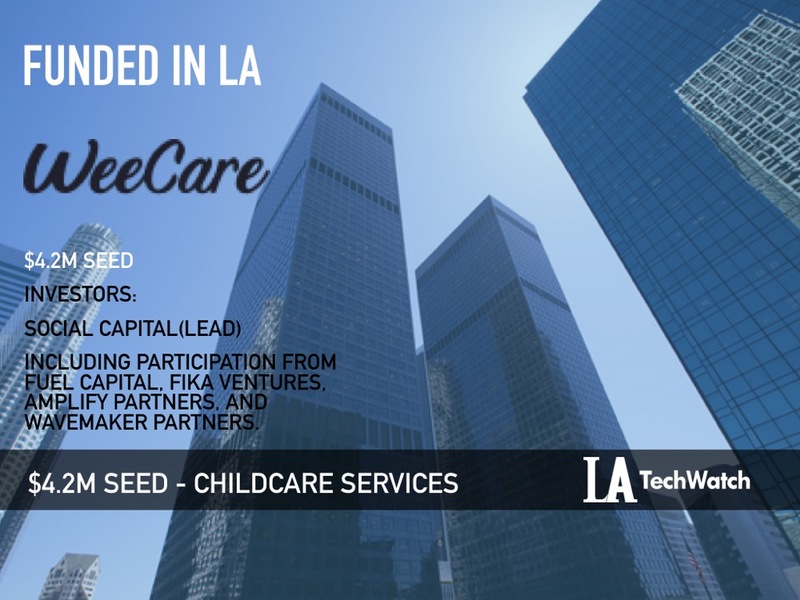 WeeCare is a mobile platform providing educators and caregivers with the necessary tools and support to start a licensed home daycare and effortlessly manage operations, so they can focus on caregiving first, and running a business second. Through an easy-to-use mobile app, providers receive support and resources from opening a daycare to running the daycare smoothly, including essentials such as licensing, home preparation, insurance, and training. In addition, the platform digitizes enrollment, automates the billing process, generates a website listing, offers communication tools with parents, and even generates a weekly curriculum to help providers offer world-class, education-based care. Caregivers using WeeCare also have access to a community of peers for support and knowledge-sharing. On the other end of the platform, WeeCare gives parents seeking childcare access to convenient, affordable, and curriculum-based daycare. Parents can manage their schedules with ease knowing that their children are with a trusted provider in an environment focused on education and fun – at a monthly cost that is up to 40 percent more affordable than other early childcare options. Parents are also able to use the mobile app to enroll their children, communicate with providers, access digital payment options, and view daily photos, messages, and updates. What inspired you to start WeeCare? Being a parent and a preschool owner, I’ve seen both sides of the story. Parents have a hard time finding convenient and affordable care, while teachers make so little that they can’t even support their own families; the industry needs change that is sustainable for the future of our kids. Early childcare is overpriced and undersupplied. For every three children with parents seeking early childcare nationwide, only one spot is available within the existing care landscape and it can be for a price tag of up to $3K a month. We built WeeCare to address that issue for parents, while also empowering educators and stay-at-home parents to build a career and earn money doing what they often already are – caring for children. We’re transforming the traditional daycare experience for providers, from digitizing payment and enrollment to providing curriculum and training. 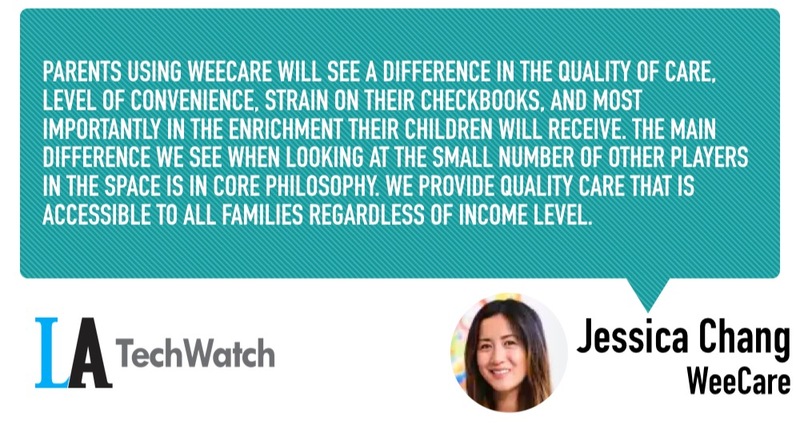 Parents using WeeCare will see a difference in the quality of care, level of convenience, strain on their checkbooks, and most importantly in the enrichment their children will receive. The main difference we see when looking at the small number of other players in the space is in core philosophy. We provide quality care that is accessible to all families regardless of income level. What market is WeeCare targeting and how big is it? We are specifically targeting the early childcare industry. At the moment, the licensed childcare market is $50B, 60 percent of which is in home daycares. On top of that, we are not even accounting for those providing care without a license, including nannies and unlicensed care providers. Our business model is quite simple. We take a percentage of tuition processed when a daycare is open. The reason we do so is to be aligned with our daycare partners if they don’t make money, we don’t make money. Any plans to expand beyond California soon? Yes, we’re looking to expand into new regions and states later this year. Our funding process was quick and to the point. I credit that to our team, our previous investors, and our story. We had spoken to a number of investors prior to our fundraising, so we had a head start before the process officially started. Most of our fundraising was in San Francisco, so it was hard to get the timing right. Essentially, we would plan to be there for a week at a time and hope that timing worked out for the people we wanted to meet. Our industry needs serious disruption and it affects almost anyone that has a child, so it was easy to relate to our investors personally. On top of that, our business model is very sound, and the unit economics are very healthy and easy to understand. We raised this round of funding to focus on growth and expansion. We have built a great foundation and best practices in LA and we want to share it with the nation. In the next six months, we plan to improve our product offerings and expand to three other states. Make sure you really understand your market, how big the market is, and what is the product market fit. Ask yourself, do I have the right team to solve this problem, is my market large enough (TAM) and do I have enough traction to showcase product-market fit. We are excited to bring our product to new cities and states and really affecting how parents and providers interact with early childcare. I love hole in the wall sushi places in LA. My favorite used to be a place called 4 on 6 in the Valley, but it closed down.